Also Known As: Rajaji, C.R. Chakravarti Rajagopalachari was the first and the only Indian to become the Governor general of India, and he was also the last Governor General. He was honoured with the Bharat Ratna which is India’s highest civilian award. He was fondly called as Rajaji and “C.R.”. Due to his sweet nature, he was also called the Mango of Krishnagiri. He started as a lawyer and then went on to become a politician, social activist, writer and later, a statesman. In international politics, he opposed nuclear weapons and voiced to support was a disarmament, and world peace. Rajagopalachari was born in Thorapalli village in Krishnagiri district of Tamil nadu, which earlier was called the Madras Presidency. He graduated from joined Central College, Bangalore and then obtained a degree in Law from the Presidency College in Madras in 1897. He started a highly successful legal practice in 1900. He entered politics, joining the Indian National Congress and participating in the political activities of that time, such as Protest against the Rowlatt Act, Non-Cooperation movement, the Vaikom Satyagraha, the Civil Disobedience movement, and the Vedaranyam Salt Satyagraha. He gave up his practice as a Lawyer. In 1921, he was elected to the Congress Working Committee and served as the General Secretary of the party. When Gandhi was imprisoned, he led a group of Congress which resulted in the resignation of Congress stalwarts like Motilal Nehru and C. R. Das. During 1924-25, he led the Vaikom Satyagraha movement against untouchability. In 1937, he was elected as Chief Minister of the Madras Presidency and served till 1940. His package of political proposal to Muslim League is known as the C. R. formula. In 1946, when the Interim Government of India was formed, he was made the Minister of Industry, Supply, Education and Finance. From 1947 to 1948, he was the Governor of West Bengal. In 1948, when Lord Mountbatten left India, Chakravarti Rajagopalachari was appointed as the Governor General of India. He held the office from June 1948 to 26 January 1950. He was not only the last Governor General of India, but the only Indian ever to hold the office. After Rajendra Prasad took over as the first President of India, he was made a minister; and later after the death of Sardar Patel, he became the Union Home Minister from 1951 to 1952. Thereafter, he became the Chief Minister of Madras from 1952 to 1954. He got the Bharat Ratna award in 1955. He left Congress party in 1959, and founded the Swatantra Party and fought the 1962, 1967, and 1972 elections. His united Anti-Congress front under C. N. Annadurai, swept the 1967 elections in Madras. In November 1972, Rajagopalachari’s health deteriorated and he passed away on 25th December 1972. He was 94. Condolences came from all corners of the world. Rajagopalachari got married in 1897. His wife Alamelu Mangalamma died in 1916, leaving behind three sons and two daughters. 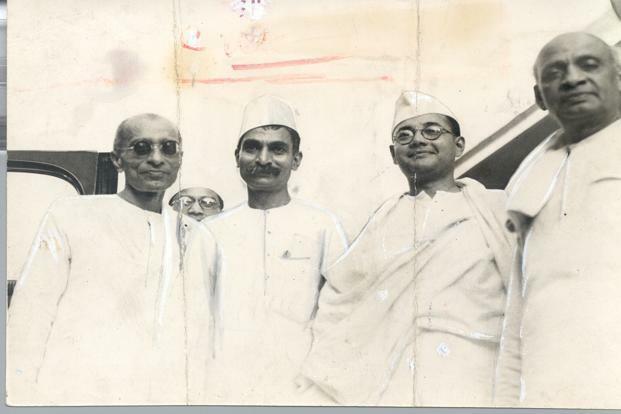 His son Chakravarthi Rajagopalachari Narasimhan became an MP from Krishnagiri in 1952 and 1957. He also wrote his father’s biography. Rajagopalachari’s daughter Lakshmi married Devdas Gandhi, son of Mahatma Gandhi. His grandsons were Rajmohan Gandhi, Ramchandra Gandhi and Gopalkrishna Gandhi. Rajagopalachari was also an author who wrote in Tamil and English, and enriched the literature with his contributions. He wrote an abridged retelling of the Mahabharata and Ramayana in English. He also translated Kambar’s Tamil Ramayana into English and wrote several books on religion and philosophy. His book Chakravarthi Thirumagan, which was a retelling of the Ramayana, won the 1958 Sahitya Academy award in Tamil language. He was also a founder of Bharatiya Vidya Bhavan. In 1956, he started a magazine, Swarajya. He is also credited to have coined the term ‘Licence, Permit, Quota Raj’. He was also a music composer and composed the devotional song Kurai Onrum Illai in Carnatic music, and a benediction hymn sung by M. S. Subbulakshmi at the UN General Assembly in 1967. He fought for the equality of Dalits and their entry to temples, which was forbidden earlier. For this, he endeared himself to Mahatma Gandhi who called him, the keeper of his conscience.